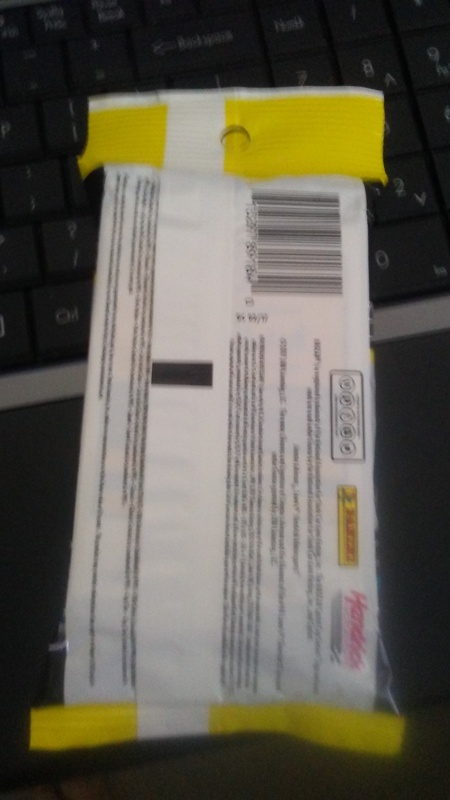 This is the last eBay hot pack from this seller. This one was relatively cheap. I believe it was under $6. It’s always fun to pull a patch. While this is a patch, my conclusion is that you will never get anything good from these hot packs. I might buy more if the price is lower than a break and I want to sample a product but overall, I question if these are worth it. I would almost rather see the person resell the cards themselves instead of in packs; that way I have no idea they are searched. I feel that it is at the point that packs need to be put in locks, like alcohol, so they are not searched. The other day, I was in the WalMart card aisle and when I knelt down to see the boxes on the bottom shelf, an associate made it know that they were watching me. I took the time to thank them for doing that. Continuing the eBay hot pack series of 2019, I purchased a 2018 Chrome Update Baseball hot pack. Unlike the other hot packs that I covered this one cost me a healthy $15 as I was a fan of the autograph checklist. I wasn’t expecting anything big. Let’s see if I was disappointed. As you can see, the autograph was from Austin Meadows. Not bad but not worth what I paid. Still I paid less about half of what a mega box costs; and those do not guarantee an autograph. I have one more from hot pack from this seller and three more hot packs overall to post. eBay hot packs. The mystery. The misery. What do they offer? A lot of you don’t know. I bought a handful of them a few weeks ago and will be posting ‘Random Reviews’ of them. Today, you will get a glimpse into some hot packs that guarantee numbered cards. Before diving in, the question is how people know what is in the pack if it is not resealed. In my research the only thing that is definitive is that the searchers can see through a pack. Usually this means seeing a card that is flipped or a different color than the other cards. Going by weight is too complicated. I would be lying if I said that I didn’t try this once. It was impossible for me to tell and I don’t even think about doing it anymore. Side tangent, my method now is that I touch the packs that I am thinking of and if any of them say ‘buy me’ while in my hand then I do that. Sounds a little out there but we are pretty much all sports fans and can understand crazy intuitions and stupidstitions. Enough of me talking. Today you will see a 2017 Topps Heritage baseball that guarantees a numbered card and I will start with a 2017 Donruss Optic that guarantees a pink ‘Rated Rookie.’ These packs were in the $1.49 price range and were combined with future hot packs. The packs were nothing special. For as cheap as the packs were, the guarantees did not pay for themselves. 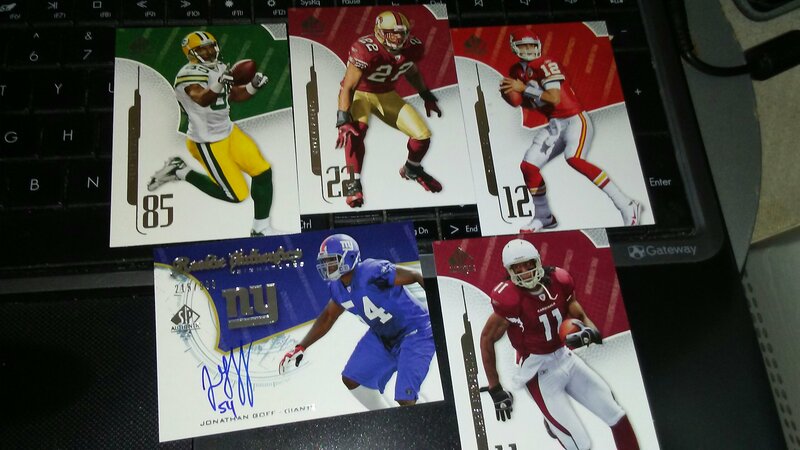 While I cannot speak for the seller, you would think that the numbered cards would have a chance at money makers. I suppose that I cannot complain as they were less than a normal pack would cost and they came with a guarantee. I didn’t want to do another hot pack review. Ebay suggested it to me and I put in a low bid. Next thing I know, I got it. Altogether I spend four bucks and change with shipping. Worth the flyer, I suppose. 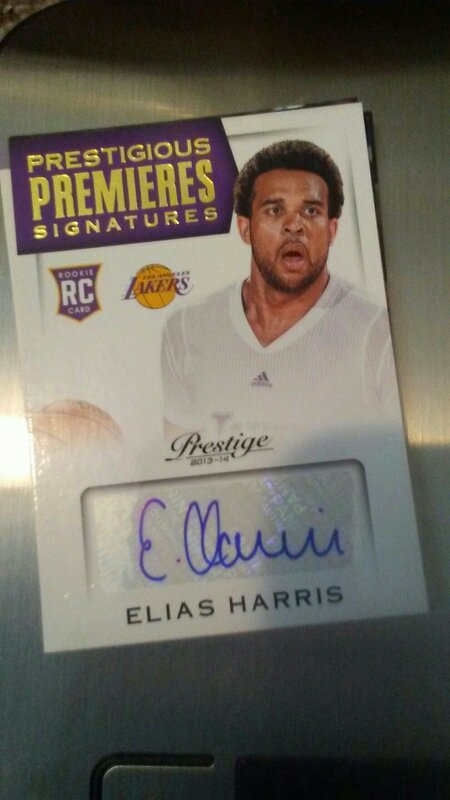 An autograph that isn’t even worth the pack. Some things are better left a mystery; like this pack. After the amount of chatter my last post about eBay hot packs got, I figured that I would try it again. 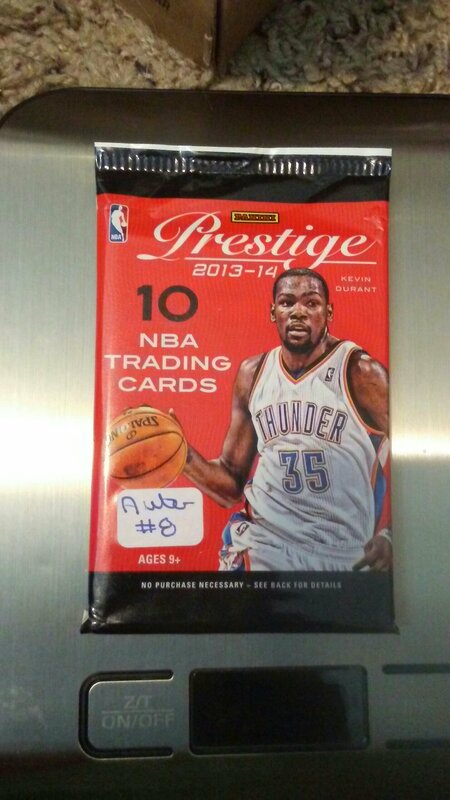 I bought the last Prestige 13-14 hot pack on eBay for $14. It was one of those where I asked myself if I would regret passing up on it, because there was a 0.0001% chance that it contained an autograph of value that I needed. As I said, I have bought hot packs in the past and never had any luck – until my last post. I was open to spending the $14 because even if I failed, it would show you readers, how most hot packs are. This would’ve been a bust when this came out. At $14, this is a major bust. An undrafted player who played 2 career games in the NBA- side tangent, this goes to show you how bad the rookie class was with the fact that he was one of the 40 rookie autos in this set. Having bought hot packs, I can tell you honestly that this is what you should expect. Probably something a little better but this is right in line with the hot packs. Recently I saw a question on Twitter asking if anyone got anything good out of Ebay hot packs. I have been avoiding hot packs for a while because I bought some about five to ten years ago and never pulled anything good. I feel that I did buy them for the right reasons though. I remember that I was curious about a set and with blaster boxes having no guarantees, I would rather take a flier on a hot pack, as opposed to a few retail packs for the same price. I have nothing against the packs themselves, I just question the sellers. How did the sellers know there is a hit in there? How do they know what type when very few boxes list the specific types of hits you get. Were they the vilified pack searchers that we hate at retail stores? Were they resealed junk hits? 1. I felt that this would make for a great post. 2. I basically own every hit for sale for my Prestige collection. I figure the few that I am missing, that should be affordable, are in packs somewhere. So kind of out of desperation. Obviously I bought a Prestige pack. After I won that I got a Donruss Racing pack for six bucks from the same seller. As a SoCal vegetarian who is a member of the LGBT+ family, Nascar and me kind of go like oil and water but I do own a few Nascar cards. Whenever I find a cool looking Nascar card in the cheap boxes, I grab it. They have some awesome event used material, that offers unique material – it feels wrong saying event used, but I don’t think they are called games. 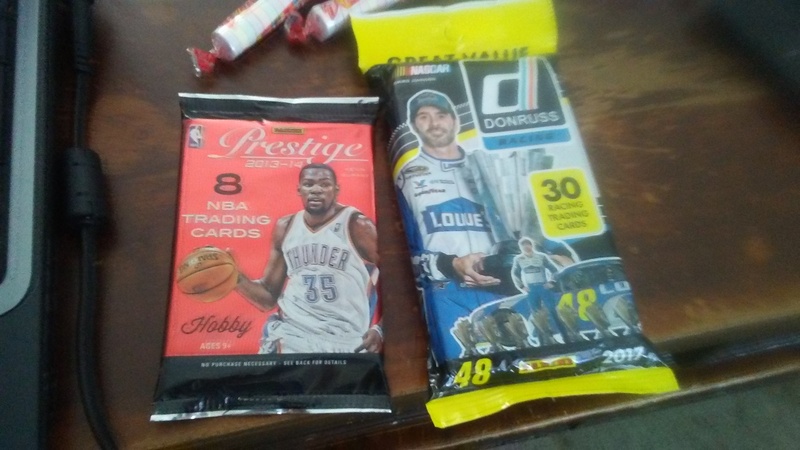 These two packs cost me around $15 when all was said and done. So basically $7 a pack. If they are unsearched, you really can’t go wrong at that price. The picture above was taken as I was looking for any signs of tampering. I didn’t find any. Let’s start with the racing pack because I would only know the white whale hits. 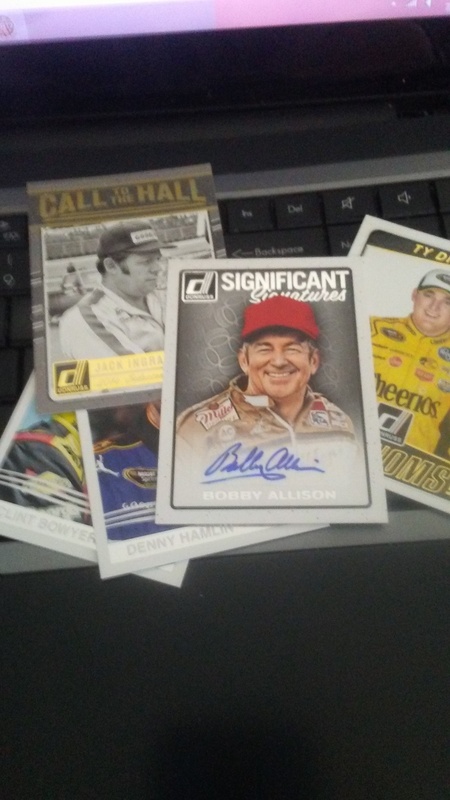 Bobby Allison autograph. 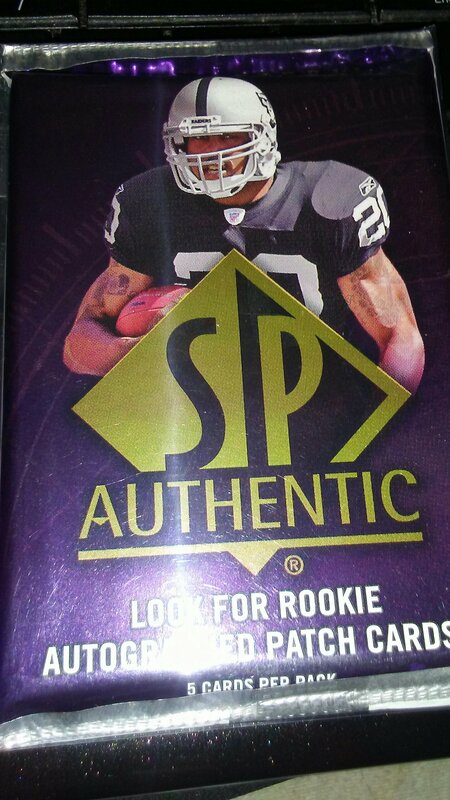 I have no idea who he is but this card is selling for $10 right now on Ebay. So if it does sell for that much, when accounting for fees, I can make my money back. 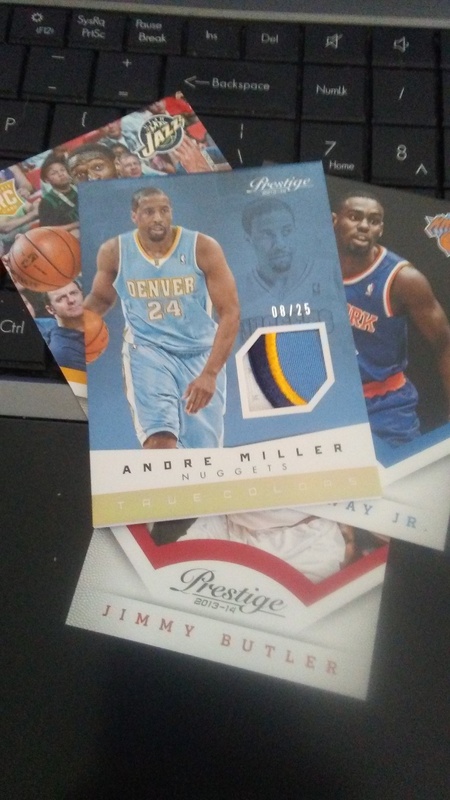 The next pack was the Prestige basketball one. I feel that I did amazing with this pack. A four colored patch numbered to twenty-five. I have the non-Prime version of this card. Funny story about this card, I went through a lot to get the one I had before. You cannot find this card listed on Ebay or COMC. It is just one of those that you think would be a dime a dozen but I had to buy Panini Points then get the card through that program to finish off my True Colors set. So not the hit that I was looking for but if I put it on Ebay, I will be the only one selling it so I will have some leverage. I will keep it for my personal collection though because it is a great card. It wasn’t the Isiah Thomas (Pistons) Bonus Shots jersey, Peja Bonus Shots autograph, Michael Finley Bonus Shots autograph, or Kobe Bonus Shots autograph that I need but hey, I did great. Maybe I got lucky but I feel that I did great. A Prime patch out of a hot pack, I feel that I am the one that got away with murder when I probably did a little better than break even. Still this was a fun little exercise. I probably won’t buy many more hot packs but I have a little faith now.